Giacomo Bonaventura’s scissor-kick half-volley has given Milan the half-time lead over stunned Napoli on David Ospina’s debut. This was the Rossoneri’s season debut, as the Week 1 fixture with Genoa was rescheduled to October 31 as a sign of respect after the Ponte Morandi tragedy. This meant Gonzalo Higuain made his first competitive appearance in his old hunting ground, while Hakan Calhanoglu was suspended, so Fabio Borini completed the trident attack. Mateo Musacchio was the surprise pick in his first partnership with new captain Alessio Romagnoli. David Ospina got his Partenopei debut, as Alex Meret was injured with Orestis Karnezis not entirely convincing in the 2-1 win at Lazio. 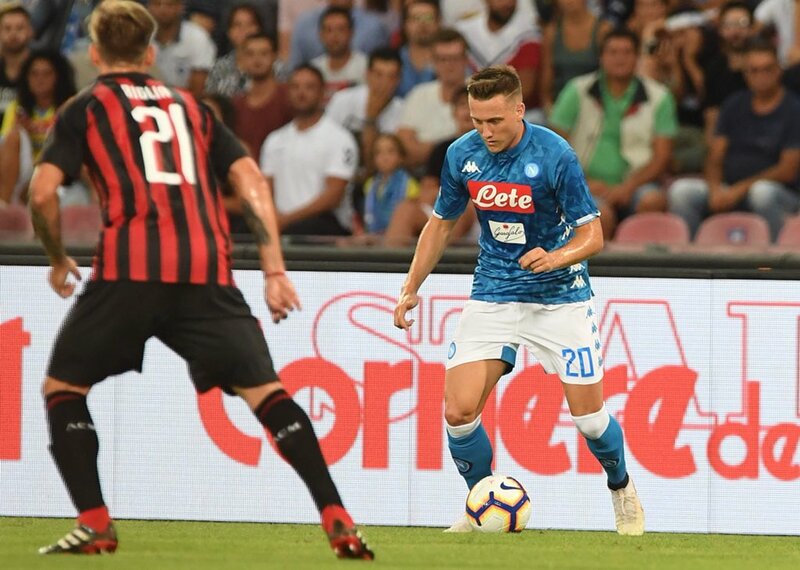 Arkadiusz Milik was again picked rather than Dries Mertens. Pepe Reina returned to the San Paolo for the first time and was given a warm welcome by the crowd. Lorenzo Insigne mis-kicked a lob on the counter, but Milan scored with their first genuine opportunity. Borini at full stretch knocked down a long ball for Jack Bonaventura’s scissor-kick strike from just inside the box off the outside of his right boot. It took Ospina by surprise and flew into the far top corner. Just like against Lazio, Napoli went behind to an early goal and had to find their way back. Jose Callejon drilled just wide and Napoli had penalty appeals for a collision between Davide Calabria and Mario Rui, but the referee awarded a foul against the Portugal international for backing into his marker. On the stroke of half-time, Gianluigi Donnarumma palmed a rising Milik strike out of the near top corner.